The Magic Flight Battery set is a direct replacement for the vaporizer batteries which come with MFLB and Muad-Dib models. These batteries can only be charged while inside of the original charger, so these should typically be purchased only when your original batteries will become dead and will no longer recharge. As these are original Magic Flight replacement parts, you can expect the same performance as from your original batteries when they were new, in terms of the length of time each one of these can power your device on a single charge and the amount of time that it will take to recharge them. All rechargeable batteries can be charged for a set number of uses and eventually will require replacement. This is an expected part of ongoing vaporizer maintenance and usually not an indication that there is anything wrong with your vape box. For installation instructions, please consult the instructions which were included with your Magic Flight vaporizer or contact the brand for guidance. If you need assistance please do not hesitate to contact us! Definitely a five-star company - Review by William J. 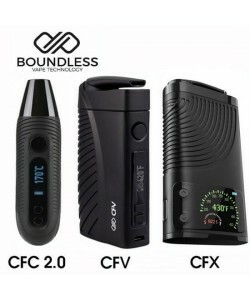 My very first purchase from this site was just for a vape battery, but even though it might have been a small purchase, they treated me as if I was buying the entire site. I have purchased many items from you on this site here afterwards and have excellent experiences every single time. Like no other vaporizer out there, its made out of wood, and looks phenomenal. Originally I got the MFLB vape for the looks, and a friend told me great things about it, I am very lucky that I did. There is no combustion, since there is no direct heat to the herbs, and the vapor tastes great, plus it has very little odor, I can vape anywhere. Well worth it, but make sure to get the additional batteries, since your friends will be asking to use it.